I have a soft spot in my heart for crafty couples with dogs. Sew Bettie was born in Chicago in the summer of 2007 when Mark and Cara adopted Miss Bettie Lou Sweet Waters. Bettie is a very special dog. As chief executive officer, Bettie’s cuteness inspires all of Mark and Cara’s urban whimsy designs. Mark is a graduate of the Art Institute of Chicago. He is a practicing oil painter and multi-faceted designer. You can see his paintings here. Cara went to Swarthmore College where she studied history. She also studied fine arts at Studio Art Centers International in Florence, Italy. Now she is a medical student at Northwestern University. Mark does all of the graphic design and Cara does all of the sewing and pattern construction. Mark, Cara, and Bettie hope that the Sew Bettie collection of sewing patterns, crafty kits, and limited edition fabric inspires the crafty soul in you. We are constantly designing new fabrics and update our website at least once a month, so please come visit again! Check out other ideas at Sew, Mama, Sew! Leave your first name and last initial in the comments (along with other ideas you have for what to create with a fat quarter). For this contest, US addresses only, pretty please. Ooh! 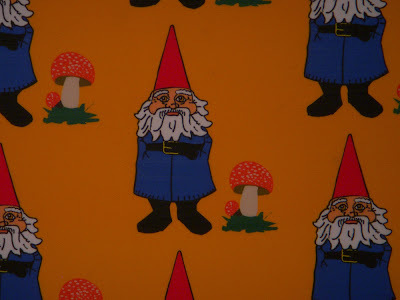 It's David the Gnome fabric. And the whales are adorable. I'd probably save the fabric for a while because it's so pretty! Then make a little clutch so that everyone could see the cuteness of the fabric patterns. The Sew Bettie fabrics are awesome. I'd use one to make a cool dog collar for my furry guy, Seamus, and patch my holey jeans with leftover scraps. And it's great to read that Cara is a med student finding time to sew and create. I'm inspired to stay crafty when I start vet school this fall...Thanks!!! Oh man, I love the Moroccan and art deco inspired prints. Beautiful! My kitchen table has been needing two new place mats, or I'd consider it for a super stylish apron. I love fabric in the kitchen! Love the plant and Mondrian inspired prints! I'd probably make a pillow to jazz up our rather bland sofa. These are wonderful! I would use the luxe moroccan fabric to make table runners for a friend's upcoming bridal shower! How fun! I'd use the Mondrian-Inspired fabric to make a notebook cover or set of coasters. Oh these fabrics are beautiful! I'd want to make something that highlighed the prettiness of the designs and that I could appreciate on a daily basis. I'm been on a home decorating kick lately, so either platemats, coasters, oven mitts or fabric knicknack/storage boxes. oh these are so fun! i've been wanting to make some pin cushions, but the pear-shaped ones with little fabric leaves sewn to the top!! (although the little button shaped ones pictures in the post are pretty cute too!) ~stacey o. With a fat quarter I could make a number of things. Use part in a quilt, then some fabric flowers, who knows!! The mustache fabric! 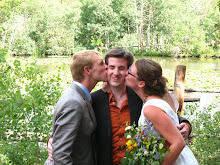 Not only are the colors perfect for our fall wedding, but my husband-to-be sports a very fancy curled mustache. I'm making all the napkins for my wedding so I would use it to make an extra special one for my mustachioed man. LOVE the fabric! I could make a ring pillow or pouches for the flower girls for my sister's wedding... she is going for a funky-fresh wedding on a budget and this would be perfect! Beautiful designs! I've started quilting again, so this really excites me. The patterns are so unique it will be hard for me to go to the quilt shops again. We're talking about having several friends play their instruments (guitar, drums, harmonica, voice) during parts of our ceremony...I think some of these fabrics would be PERFECT as bands around hats for the guys & could be used to make a funky bracelet or hairband for our female vocalist! wow those are all super cute. I like using fat quarters to make tea wallets (so your tea is always at your side) or knitting needle rolls. I'm having a vintage inspired wedding filled with birds. I'm making a whole bunch of little stuffed birds with scrap fabric and i would love to have any of these added to my collection. I just received a sewing machine for Christmas and I've gone a little crazy on the sewing projects! 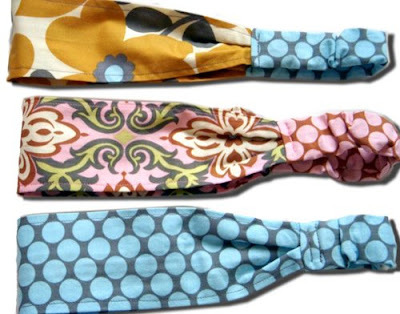 I'd love to make some eye pillows for my girl friends to use when they do yoga! Such wonderful fabric! I especially love the Moroccan design. I'd like to use this fabric as part of a table runner for the cake table at my wedding (lots of cakes handmade by my aunts). It'll look so lovely! These are so funky! I'd love to use some for the fabric boutonnieres I'm making for my upcoming wedding...and maybe make some accessories for our new little kitchen that will soon be in use! I've enjoyed following Sew Bettie for a while now, and I would love to win some of their fabric. I've been eyeing the gnome fabric on their blog! We are using a hodge podge of fat quarters as napkins for our wedding! I love their site! 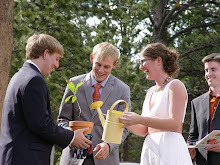 i would probably use it to make ties for the groomsmen in our wedding this summer! Love their fabrics, what fun they are. I think I'd use the fabric to make a little tote for my granddaughter, she loves purses and bags of all kinds. I love these fabrics. I'm just getting into sewing and DIY projects and striving to do things homemade. I would use the fabrics for pillows! My fiance' and I are getting married in May and moving out to Denver, CO and getting our very first place together. I would love to make us some pillows for a couch or even our bed! Those are too cute! I'd use mine to make an extra square for our wedding quilt. The design calls for 42 squares and we're having more trouble than we'd anticipated wrangling friends and family to make squares for us. A cute fabric square would make all the difference (I'm already cross stitching two squares with portraits of our dogs and could use some easy squares). I love! Coasters, coinpurses, the possibilities are endless! oooohhhhh there were several fabrics I would love to have! 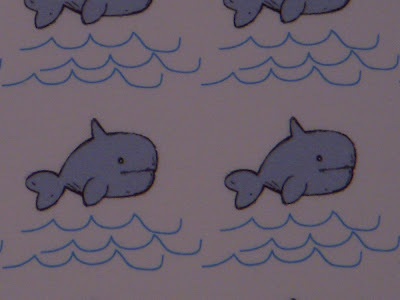 the whales are so cute! and the boxer looks exactly like my sister's puppy. I'd love to make some placemats or pillows for her with that adorable puppy face on it! Thank you for the contest!! 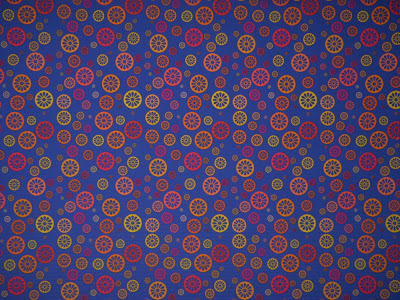 Julia C.
Great Fabrics! All my friends are having babies right now so these would make adorable bibs and cutout decorations for onesies. Thanks for offering the fun contests!! I am making table runners for my wedding. Or maybe make a wedding quilt? and have all my friends and family contribute a square to sew together to remember the day!?!?! whoops, i'm a big loser, i forgot to say what i would use the fabric for, and then i tried to delete my comment but i can't tell if it really deleted it or not. but what i would love to make is cute little dollyclothes - i'd add some coordinated flannel lining, and probably some pieced pincushions that will be almost completed and just pinned closed before i start to actually use them for pins. :b i'm michelle b. Great assortment of fabrics: fun and fabulous designs! 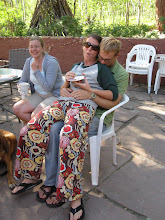 I would like to make some stuff out of the BMX fabric for my friends who just got engaged -- they are way into mountain biking. he is a high school shop teacher and she is a high school art teacher! I am planning on making a mini- teeny tiny sized ring pillow for my teeny tiny ringbearer to carry. This would be just the fabric to get me going in the right direction. (I'm thinking the Moroccan). Cool give away. I could really use this! I'm looking for fun fabric for my 'DIY photo booth' for my wedding! I love the blue fabric with circle designs! The colors are pretty much my wedding colors. 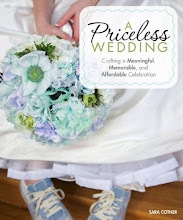 The photo booth would be totally $2K Wedding-esque! Then, after the wedding, I could use the fabric as a tablecloth for the bbqs in our future -- or maybe make clothes for my yet to be born nephew! Oops, forgot to say that I'm Vicki W.
Fat quarters are the perfect size for so many projects. I am in love with the Avant-Garde Gingham. It is super chic. My next project is an apron. Oooh I love the Moroccan ones! I want to make a slew of super cute baby shoes for my momma to be friends! I'd make a bib for my little one!